A year before launching cars under the Morgan badge in 1909, Henry Frederick Stanley built his own three wheeled car. However the company kept presenting four wheel drives since 1952. A few years back in 2011 they presented the 75th anniversary edition and here they are in 2016 with the Morgan 4-4 80th Anniversary 2016. 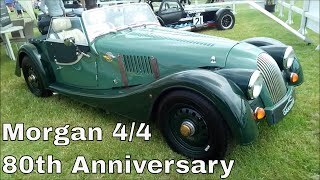 Let us have a look at the review of Morgan 4-4 80th Anniversary 2016 to know in detail about it. The interior of Morgan 4-4 80th Anniversary 2016 gives you a good list of leather upholstery and carpet color combinations to choose from while the dash comes dipped in matte lacquer featuring a glossy finish. The entire look is like the vintage model, however it does receives the touch of luxury you need in modern time. The dial gauges are colored cream and have brash garnishing which makes the interior look marvelous. The entire interior is drenched in leather, including the center console, doors, pull handles and seats. Thus rounding up the interior details of Morgan 4-4 80th Anniversary 2016 I’ll call it elegant, comfortable and gorgeous. 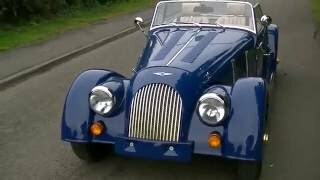 The exterior body of Morgan 4-4 80th Anniversary 2016 is similar to that of the standard model. The Special Edition difference comes primarily with the Morgan BRG color used to paint. There are few more things that might grab your attention with their distinct location and looks. First is the exhaust that is mounted in front of the rear wheels or say behind the front wheels. The integration isn’t just about looks but it helps the car to perform better. The bonnet comes with a quad strap while the grille has brass mesh that looks beautiful. 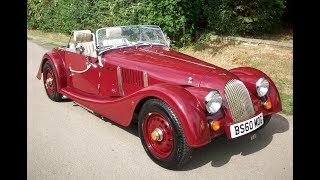 Apart from these the exterior Morgan 4-4 80th Anniversary 2016 gets further complemented with the mohair roof and partial tonneau cover. This is where you don’t get any such upgrade; powering the Morgan 4-4 80th Anniversary 2016 is the same 1.6 liter engine producing total output of 110 hp peak torque of 132 nm paired to five-speed manual transmission. 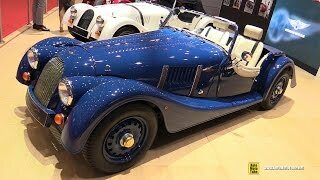 With this the top speed of Morgan 4-4 80th Anniversary 2016 touches the mark of 115 mph while the 0-62 mph sprint can be knocked in 8.0 seconds.